A recent addition to the NeedyMeds website is the Radiology Imaging Centers database. As hopefully you read in our August edition of the Patient Assistance Newsletter, this new resource will help you search for facilities that offer the tests you need in your area. You can use the data to compare cash prices of over 20 commonly performed studies. The database also includes other pertinent information about each location such as whether or not they offer discounts or payment plans, which procedures they perform and even if they host free imaging screenings throughout the year. Such details will hopefully assist you greatly in your pursuit of better health. Yet, per an article published at the beginning of the year by our partner Consumer Reports, there are a few more steps you should take, a few more answers you seek before actually scheduling that test. The full article is worth a read. But one of the important suggestions is to check the credentials of the imaging facility. Knowing whether a facility has received an accreditation by the American College of Radiology can go a long way in ensuring you are getting the best care for your money. 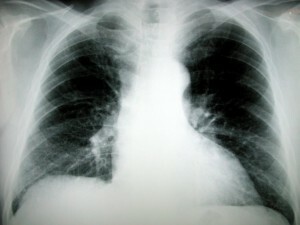 If an imaging center has received accreditation it means that facility has undergone an exacting evaluation process led by experts in the imaging field, such as board-certified radiologists, who have determined that both the equipment used and the staff interpreting the results meets or exceeds nationally accepted standards. Clearly, this should be one of your top proprieties when searching for an imaging facility in your area. For that reason, our database displays, at the bottom of each imaging facility record, whether or not there is an accreditation for that facility. Simple. We hope that helps. And, we ask, if you are willing, to help us as well. If you do choose an imaging facility found on NeedyMeds.org and find we have made an error about what we have posted, give us a call at 978-281-6666 or drop us an email. Such feedback will make a big difference in guaranteeing our records are up to date!